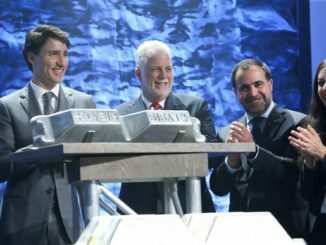 The new gun legislation introduced by the Trudeau Liberals isn’t the Armageddon moment some gun owners had feared, it offers nothing for the ardent gun control advocates but it might fool the average voter that wants the government to act on gun crime. Touted on Twitter by Prime Minister Justin Trudeau as keeping our communities safer, the bill increases the paperwork, the hassle and the frustration of law abiding gun owners, but doesn’t tackle, or even attempt to tackle, the violent gun play on our streets that is driven by gangs and the ever spreading opioid crisis. 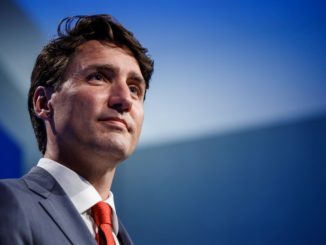 The government campaigned on taking action, “…to get handguns and assault weapons off our streets.” The prime minister made the claim that the bill would do that on Tuesday morning, shortly after it was introduced. But having read the bill, I don’t see how. The bill extends background checks on mental health and violence from a five year window to a lifetime review. It requires private sales to include a check of the buyer’s licence, something that was effectively already in the law. Finally, the bill changes the permitting system that allows licenced gun owners to transport their guns to and from the shooting range and other locations. None of that takes illegal handguns off our streets. 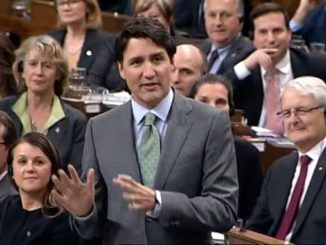 As for the assault weapons the prime minister referred to, the only way the bill deals with anything touching that is that it classifies certain types of semi-automatic rifles that are restricted as prohibited. But again, those are the rifles owned by people that bothered to get a licence, that follow the rules and don’t go shooting up our streets. This bill is political theatre. The whole point of this exercise is to convince voters that are neither gun owners nor gun control zealots that the government is doing something to make our streets safer. I’d like to know how. Even the provision in the legislation that any gun retailer needs to keep records of the guns they have sold and who they sold them to won’t improve public safety when the dangerous gun play we are worried about comes from street gangs that aren’t buying their pistols at Canadian Tire or Cabela’s. This new records keeping scheme is not the return of the gun registry that some gun owners feared. It is up to the retailer to decide how to keep the records, which most major retailers already do, and police will need a warrant to access those records. So please, tell me how that stops the rise in shootings that have plagued cities like Ottawa, Toronto or Surrey in recent years? The change in the background check system will get little push back from the various groups representing gun owners, they have a vested interest in making sure criminals and the mentally unstable don’t get guns. This change is perhaps the best I can point to as something that may improve public safety. Other than that, this bill is about tackling the problem of gun crime by bothering the people that already follow the law. Read more on the evidence here. Given the attack on the Charter of Rights and Freedoms by the Trudeau government (Canada Summer Jobs Attestation), I am uncomfortable with mental instability being defined by government bureaucrats. This government has power and it knows how to abuse it. Giving the RCMP control over classification of the firearms is like allowing police to confiscated your car because it looks like it could go over the speed limit.No checks or balance is a bad idea on any level. 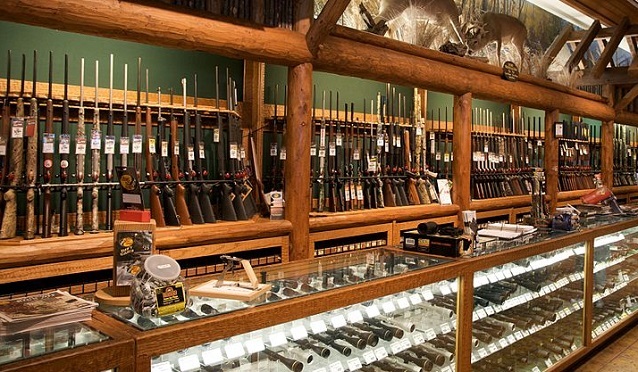 And that’s how criminals get their guns… they sure don’t shop at Cabelas and register them! So that’s the justification to spend tens of millions of dollars? And how is changing the transport permit paperwork helping? And the other measures are just as idiotic. Lol . Do the B&E stats on “purpose of stealing firearms” include the massive unlawful theft of firearms in High River, Alberta during the floods? anyone that has no regard for the law and has the money can get any kind of weapon they want in canada be it a revolver or an anti aircraft gun the only thing stopping anyone is 1 respect for the laws of the land or 2. the cost of acquiring the type of weapon. a hand gun can be very easily acquired and relatively inexpensively (for an illegal weapon). Better policing? Nah,that would never work. Going after organized crime? Nah,that would never work. Poking at the law abiding Canadian is just so much easier. Nothing in this does anything to inconvenience the Fiberals base support, only the law abiding gun owners who already jump through every hoop. Nothing in it makes those who steal or buy bootleg guns fear the legal system. The 2 guns that get reclassified are targeted merely because of appearance (one Swiss made rifle looks similar to a model not available in Canada, and the other because it is embossed with a Maple Leaf, a Greek helmet and the words “Molon Labe”. The same gun without the embellishments are still only restricted). Really the only substantial thing they’ve done is to abdicate all their responsibility in overseeing the RCMP as they decide which gun is which classification.